For years, as the eroding village of Newtok has tried to relocate, it’s run up against one stubborn challenge: the cost of housing. Now, village leaders think they might have found a solution. And it comes from an unexpected place: an Anchorage military base. 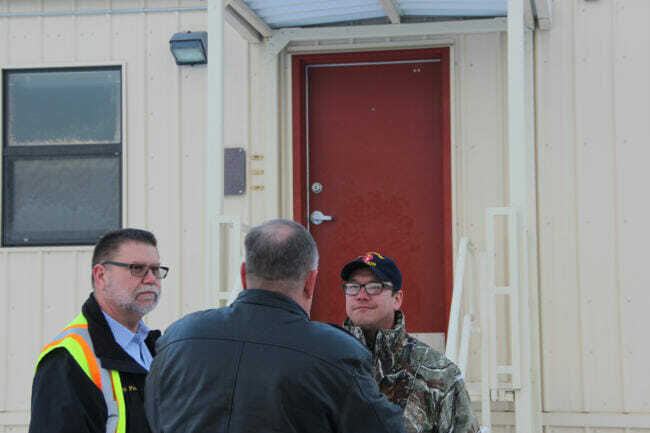 On a recent November day, Jay Farmwald drove onto Joint Base Elmendorf-Richardson in Anchorage and pointed out several long rows of modular dorms, single-story units attached end to end. “These are the units right here,” Farmwald said. Farmwald works for the Denali Commission, the federal agency most involved in trying to relocate Newtok. And these buildings are at the center of a plan hatched by the commission, the Newtok Village Council, the base and the Defense Logistics Agency, which handles excess military equipment. The units were used for more than a decade as temporary barracks for soldiers, while the base built permanent dormitories. Now they’re empty, and the military has to get rid of them. So why not send them to Newtok? Farmwald said he was skeptical at first. But the plan has some major upsides. Like, cost. They were also built to be transported, originally built as modules in Seattle and moved to Anchorage. That means they can be disassembled, barged out to Western Alaska, and reassembled at Newtok’s new site. If that sounds kind of nuts, well, it might be. But the problem Newtok is facing is also kind of nuts. The village’s current site is rapidly disappearing as the Ninglick River eats away at the land, and there isn’t enough money to move everyone to Mertarvik, the new site residents have chosen up-river. Government agencies that fund crucial infrastructure like a power plant, airport or school won’t commit money to Mertarvik until there are enough people living there. That means housing. But agencies that fund housing won’t commit money without the promise of infrastructure. It’s a chicken and egg situation, Farmwald said, and it’s been an obstacle for years. One major selling point for this new plan is it would get a critical mass of houses to Mertarvik all at once. “And that might be just enough to get the snowball really rolling down the hill,” Farmwald said. The barracks themselves are no-nonsense: rows of identical beige siding with identical metal staircases leading up to identical red doors. Darryl Parks, head of operations for the base’s civil engineering unit, offered a tour. He said, after more than ten years of use, the units have held up well. Each individual unit has three bedrooms, a small kitchenette and a bathroom. They’re pretty spartan. But Jimmy Charles, Jr., who heads the Newtok Native Corporation, said that’s not a problem. Charles was visiting the units for the first time. “It’s a lot better than what they have at the villages,” Charles said, noting that the current housing in Newtok is so dilapidated and overcrowded that these decade-old temporary barracks would be a major improvement. The plan is to put two of these individual units together and renovate them to create single-family homes. Charles’ wife Katherine, who sits on the Newtok Village Council, said she’s already imagining moving in. The couple’s current home has two bedrooms and eight people. They sleep in the living room. There are still several steps before that happens. The military is offering the barracks themselves for free, but they’ll have to be retrofitted, with new heating systems and potentially new roofs and more insulation. 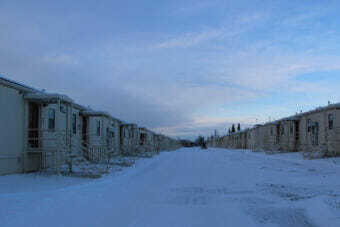 A feasibility study determined that the cost of remodeling the units, disassembling them, barging them to Newtok and reassembling them is still less than building similar-sized homes new — testament to the high cost of construction in rural Alaska. But it will cost an estimated $4.5 million to get one barge-full, or about thirteen homes, to the new site. The Denali Commission has committed $3.5 million to the project. The village is still working out the rest of the funding. If all goes according to plan, there could be as many as 20 homes and maybe a hundred people living at the new village site by the end of 2019. It’s perhaps a quarter of the housing they’ll eventually need. But, after more than a decade of trying to develop the new site, it would be something of a miracle for Newtok. 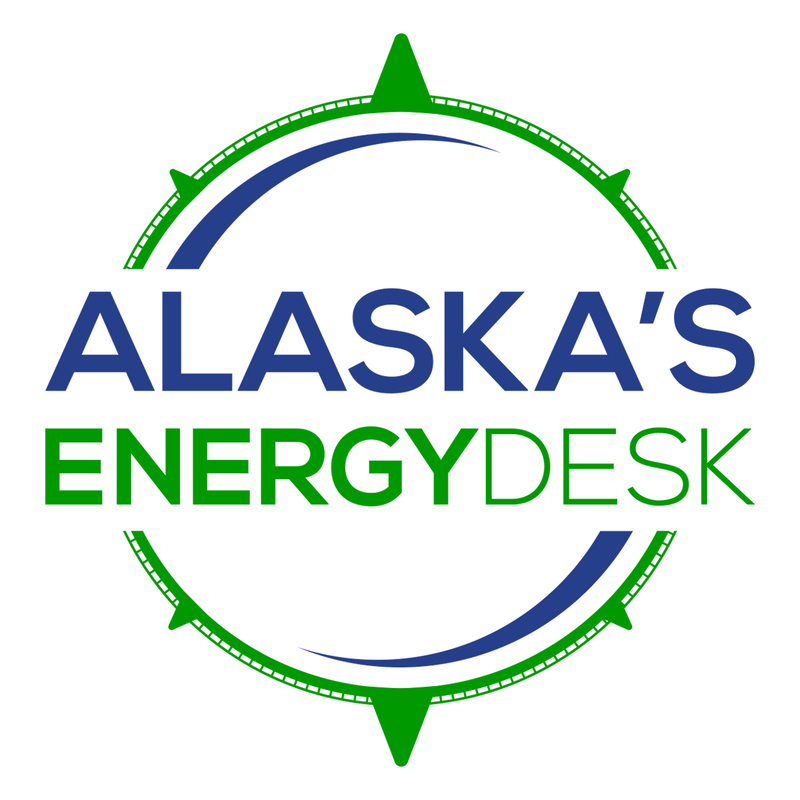 Previous articleHow would the salmon ballot initiative impact development in Alaska?